Hi there! 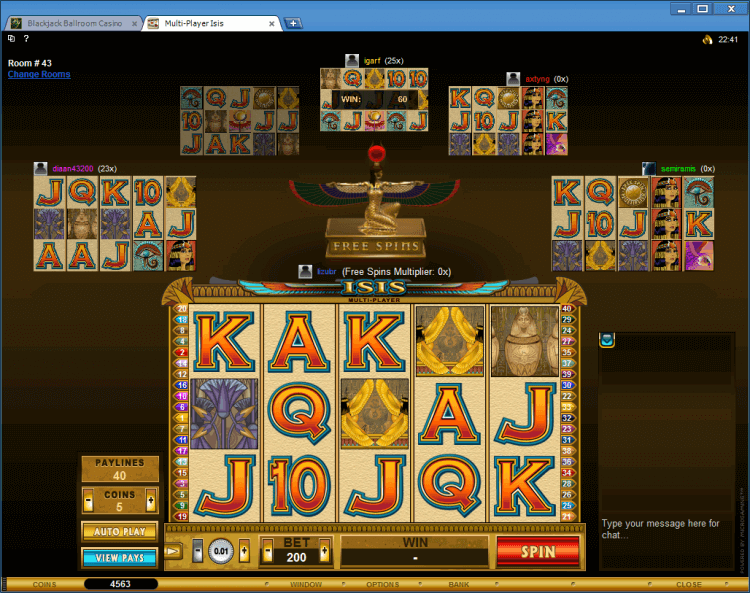 We are playing multi-player slot Isis at the BlackJack Ballroom online casino gambling. 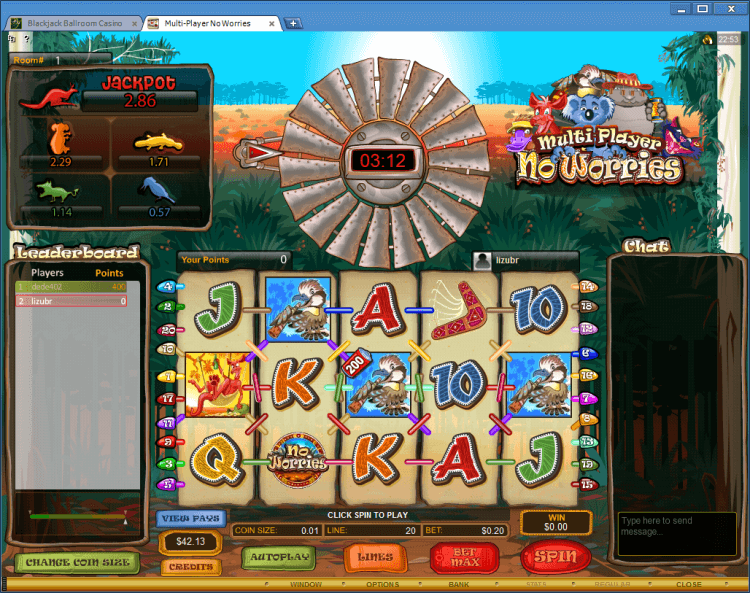 Multi-Player slots are community slot games where players play in a common game room, without competing against each other for any prizes. 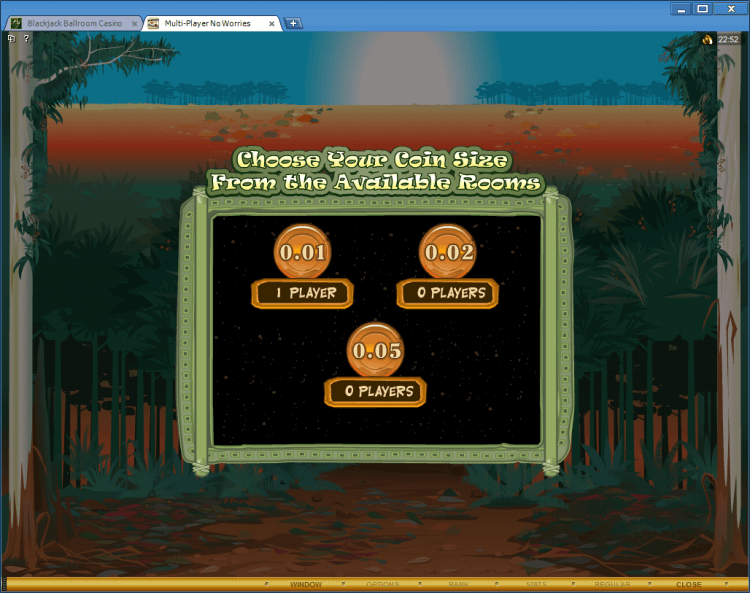 I bet 40 paylines with one coin, so my bet is 40 coins. 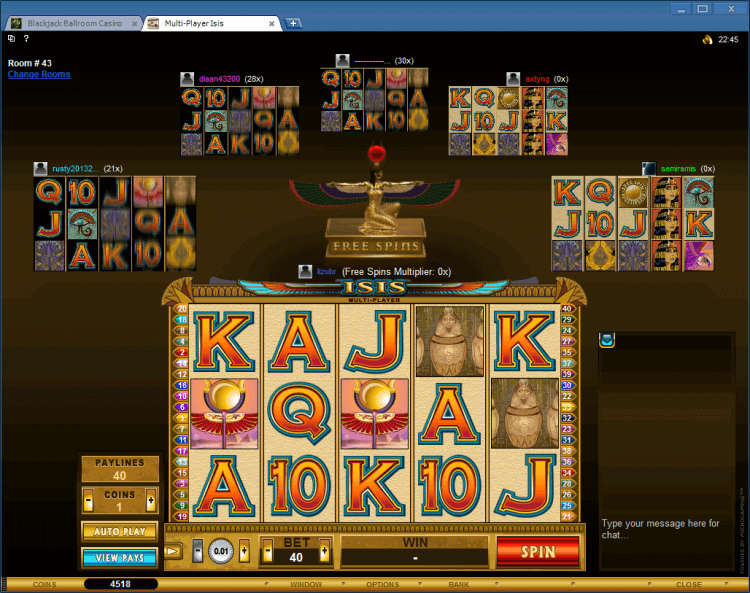 Multi-Player Isis is a five reel, forty payline and two hundred coin slot machine. Up to six players allowed in the common game room. Yep! I won 75 coins! The Isis symbol is a wild symbol. 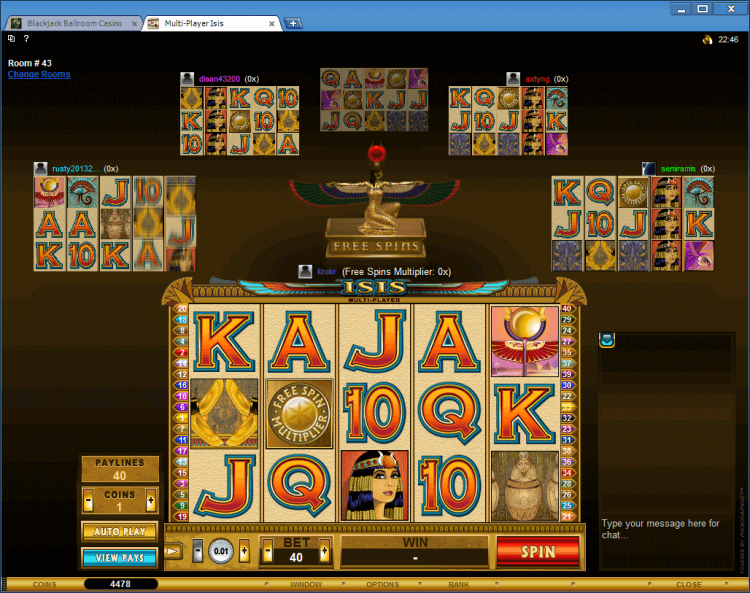 This symbol doesn’t substitute for the Free Spins Multiplier symbol and for the Hawk symbol. 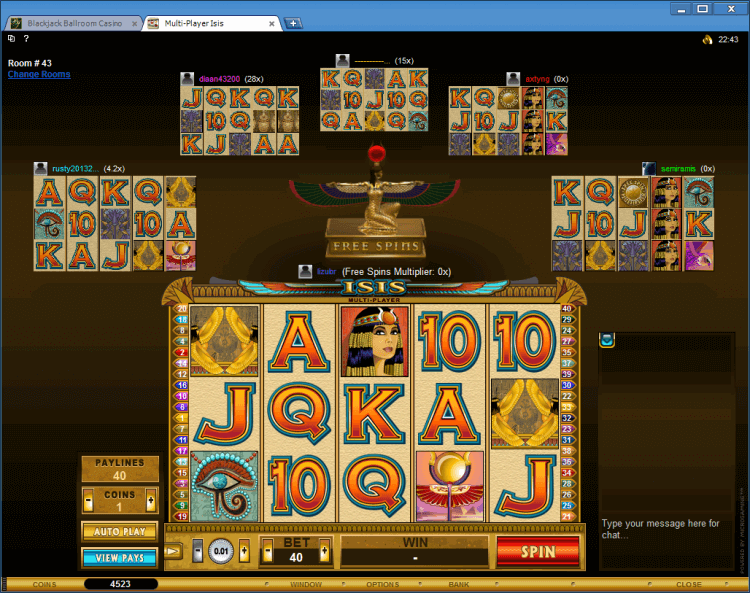 Also creates its own winning combination and wild symbol stack. This symbol you can find on the next picture. The Free Spins Multiplier symbol is a scatter symbol. This symbol completes a winning scatter combination when two or more appear on the reels. This symbol you can find in the middle of the picture on the left side. 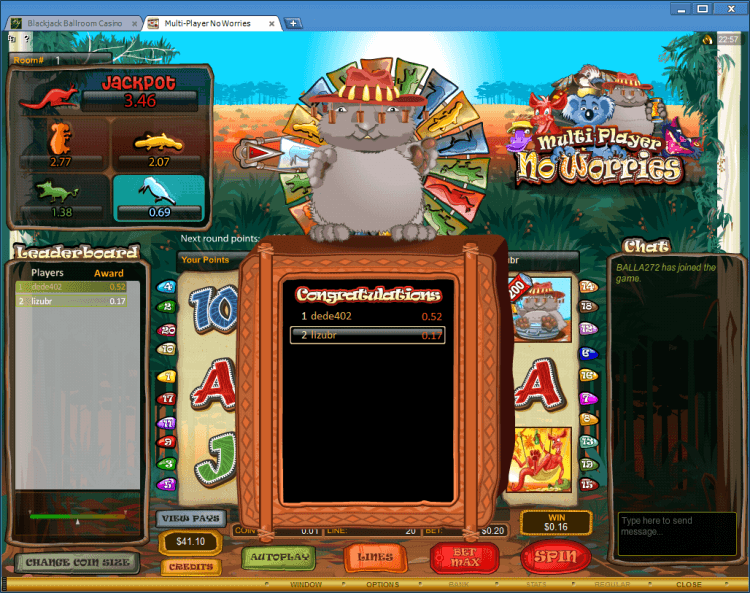 A bonus multiplier value is required to play the Free Spins bonus game. All players in the game room that qualify are awarded the bonus game with 12 free spins.